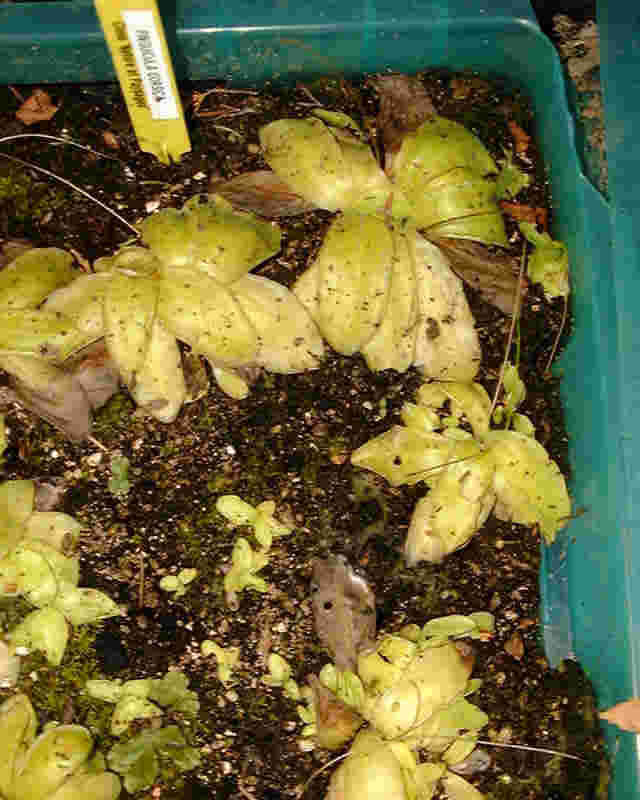 This is the sanctuary of temperate Pinguicula. 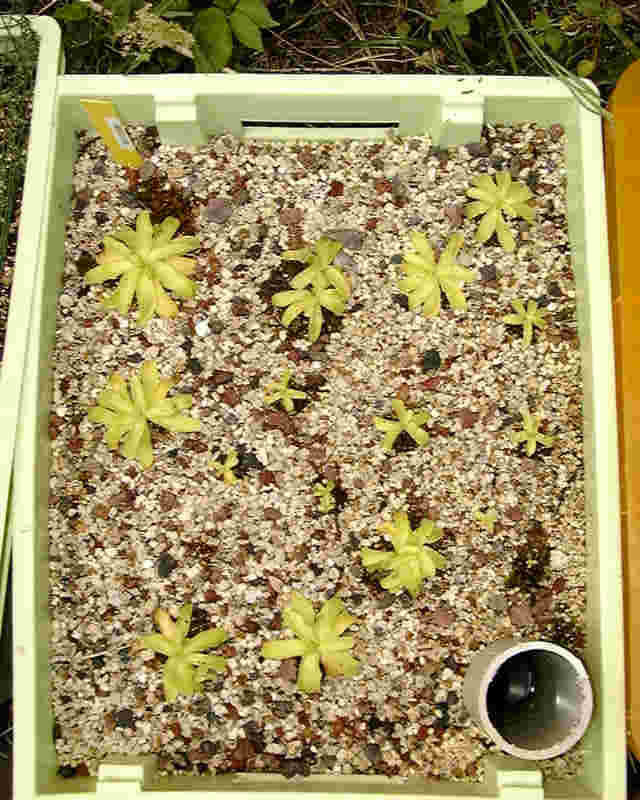 I use plastic boxes for growing most of my temperate Pinguicula. I have 27 small boxes (44cmx35cmx h,26cm) and 17 big boxes (58cmx39cmx h,32cm). 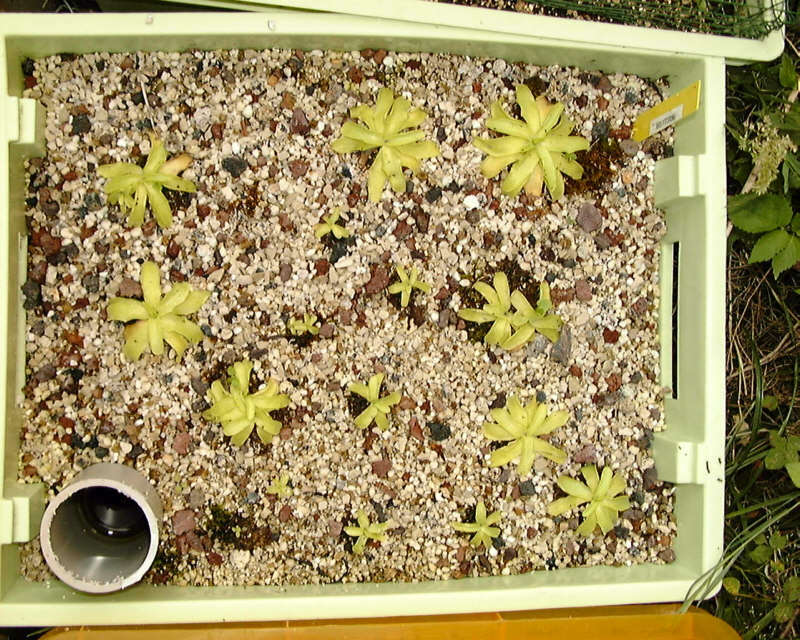 when possible, I try to devote each box to only one species but, as I generally begin to grow a species with only one single plant it can take some years to fill all the box. So I divide a box in 3 parts each with a single species. 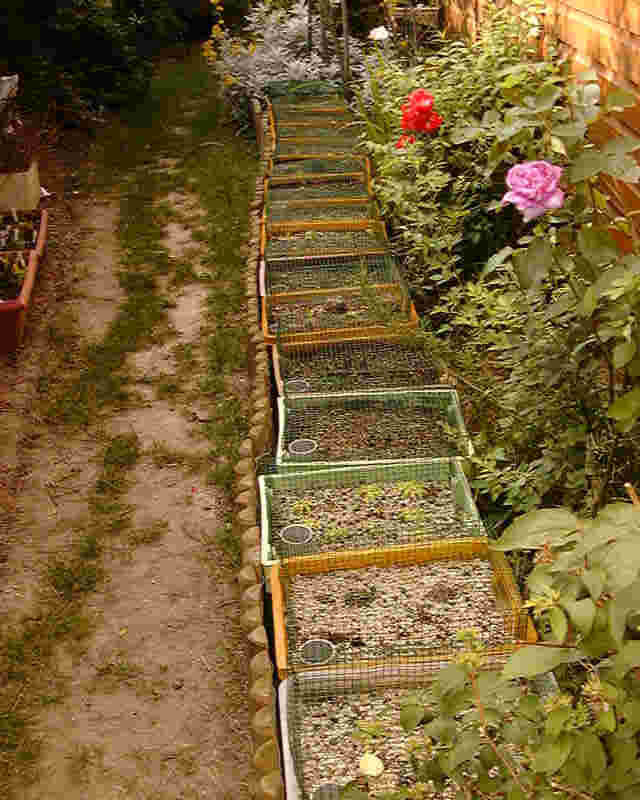 Here is one side of my house with a serie of plastic boxes. This part have full sun from 10 AM to 2PM. 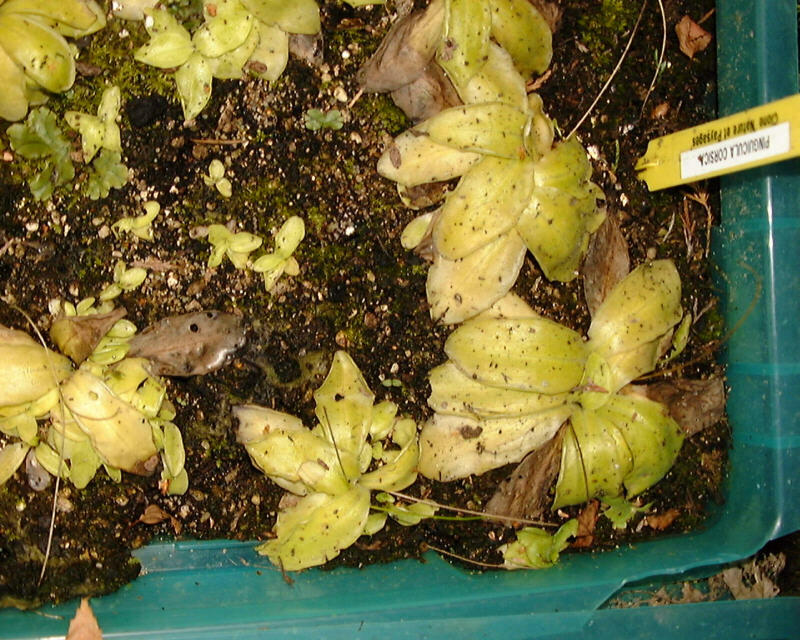 It is important to have sun also in winter or you’ll have many rotten plants. Pinguicula corsica f. pallidula is one of the plant that appreciate growing in my garden. 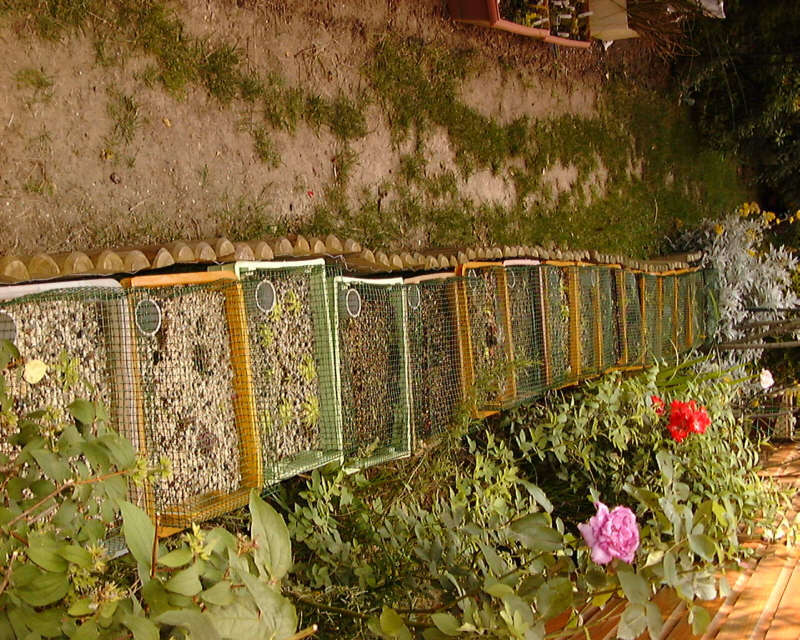 The garden may be divided into three zone depending on the time under sun exposure.